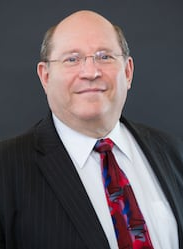 Joram Hirsch has been a trial lawyer since he graduated from Georgetown University Law Center in 1979. He has devoted his career to representing injured people and their families, and has achieved many substantial verdicts and settlements. Joram is widely recognized for his experience in medical malpractice and other complex litigation, including cases involving accident reconstruction. Joram has had the unique opportunity to handle cases that have shaped Connecticut law. For example, as a result of Petriello v. Kalman, 215 Conn. 377 (1990), a medical malpractice case, the Connecticut Supreme Court recognized for the first time an injured person's right to receive compensation for the increased risk of future harm resulting from an injury. Since 1993, as Chairman of the Amicus Committee of the Connecticut Trial Lawyers Association, Joram has dealt with numerous cases that changed the law to protect the rights of injured people, including Clohessy v. Bachelor, 237 Conn. 31 (1996), in which the Connecticut Supreme Court first recognized someone's right to be compensated for emotional injuries caused by witnessing a loved one suffering a traumatic injury. Joram has been a member of the Connecticut Trial Lawyers Association's Continuing Legal Education Committee since 1992, participating in seminars on topics like premises liability, uninsured motorist coverage, Medicare liens and traumatic brain injury. He has served since 1997 as a Special Master of the United States District Court, acting as a mediator in federal cases.